The video shakes, zooming back to sharply focus on the two figures in hotel parking lot. The video shakes, zooming back to sharply focus on the two figures in hotel parking lot. One is wearing a red shirt and overalls, the other in a black long-sleeve shirt and jeans, his baseball hat on backwards. The only sound is the breathing of an RCMP officer behind the camera, in what appears to be the backseat of a car, and the traffic passing by a London, Ont. hotel. "Unfortunately the [recording] devices I was carrying on me failed," the RCMP corporal told a Supreme Court jury Friday in St. John's. It was his third day testifying at Al Potter's first-degree murder trial. What the jury did hear was a phone call placed to Potter moments before, at around 3:30 p.m. on Sept. 26, 2016, asking him to come outside the hotel room. "Al, leave your phone in the room so we can go for a walk," the undercover officer told him. In the video, Potter — often gesturing with his arms wide — walks slowly next to the man he believed was his new boss, a person with whom he helped bury a fake dead body the night before. "We covered a number of topics. We started the conversation off revisiting the fictitious story we recreated the day before in respect to the debt collection and the body that we moved," the officer, whose identity is protected, told the jury. He said he explained to Potter there was a second man they needed to find, and that he wanted Potter to deal with him. "He expressed his gratitude and thanks. He explained to me following that part of the conversation that he had been giving it a lot of thought and he would be interested in opening his own cleaning company." The business, the officer said, would deal in debt collection — "or hired hitmen type service as well." It was then that the officer decided to ask once again about the killing that he recorded Potter speaking about the previous day. "I needed to confirm we were speaking of [the Dale] Porter homicide," he said. The officer referenced an online article about Potter's suspected connection to the case, and Potter confirmed it with a nod, he said. Potter was "very confident" that the knife had been disposed of, even going into detail about microorganisms in the ocean and how it would clear the knife of any evidence. "He explained the taxi driver they used on the night of Porter homicide homicide may be a loose end," he said. "Mr. Potter explained the taxi driver quit his job the following day, after the evening he was with Porter." Porter — a father of two, a fisherman and a trucker — was found bleeding to death at the end of his driveway in North River, having been stabbed 17 times. Porter's family members have been present for every step of the trial. Potter rolled his sleeves over his hands and explained he made an effort to put the sleeves over his hands to minimize getting anything in the taxi, the officer said. The taxi driver, who testified via video earlier in Potter's trial, did indeed quit the next day. However, he said he did not know whom he picked up and dropped off that night, aside from a woman from the community. Staining discovered in the taxi was tested by police and came back with Dale Porter's DNA on it as well as the profile of a second unknown male. The Birch Hills taxi transported Porter, two men and a woman from the Coach House bar in Bay Roberts in the early morning of June 29, 2014. The same taxi returned near Porter's North River home a short time after dropping passengers off, to pick up two unknown men. Probing further, the officer asked about the second man who was with Potter that morning, a man whom Potter called his "brother." "Mr. Potter was reluctant to really give me any indication or nod, certainly no verbal response," the officer said. 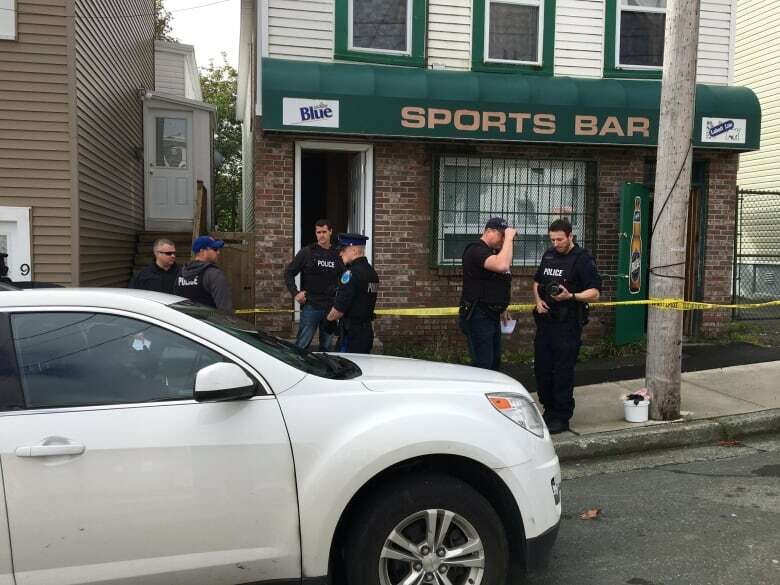 He then referenced his time in St. John's, when the officer visited the Sports Bar on Boncloddy Street and Fiddler's Pub, near George Street, to bolster his cover story. "I then referenced the scenario where we went to Fiddler's Pub and explained that I met a younger gentleman." According to the officer, upon giving the man's name — there is a publication ban on his identity — Potter responded with, "Yes, that's my brother." The conversation morphed into discussions on "how best to commit shootings or murders and we had a bit of a back and forth conversation with respect to maybe doing a drive by shooting." Before the men parted ways, they made plans for supper before getting straight to work again. But the next time Potter would leave the hotel, he would be met by a team of officers, ready to make an arrest. On cross-examination, defence lawyer Randy Piercey focused on training for police on undercover stings and questioned if Potter exhibited any fear during the officer's day with him. What RCMP call a "major crime investigation technique," Piercey called "Mr. Big." He asked the officer if he takes offence to the term. "It's about getting the truth. Not what I think the truth is," the officer said. In other stings such as this, the court has been told, it generally takes months before the police introduce a "high-impact scenario," which would involve violence. In this case, the scenario involved asking Potter to help bury what he believed was a dead body, even showing him the bloodied skin of a dead pig to make the scenario believable. "Is the point of introducing violence to scare the individual?" "No," said the officer, adding it's about creating a realistic scenario which adds credibility to the undercover officers. "In our training, it is very much stressed not to scare a confession out of people." Though there is no training which specifically deals with purposefully not scaring or intimidating suspects, he said police are very aware of what has not been effective in the past. "In Canada we have very, very good case law that has guided the police back to re-examining what they do on a regular basis,' he said, adding one of those cases deals with Nelson Hart. The Supreme Court of Canada overturned the case of Hart, a Newfoundland man who had been convicted of killing his daughters, because the evidence generated through a police sting was ruled inadmissible. Piercey continued to question how Potter was reacting to each scenario, pointing out that after they buried the body, Potter became quiet. "​I wouldn't say Mr. Potter was stressed because he makes jokes, sings the Alice Cooper song ... all along the travels from the corn field to the cemetery,' he said. During re-direct by the Crown, Sheldon Steeves asked, "Were you a Mr. Big?" "I was just a gentleman that had a business," he said. 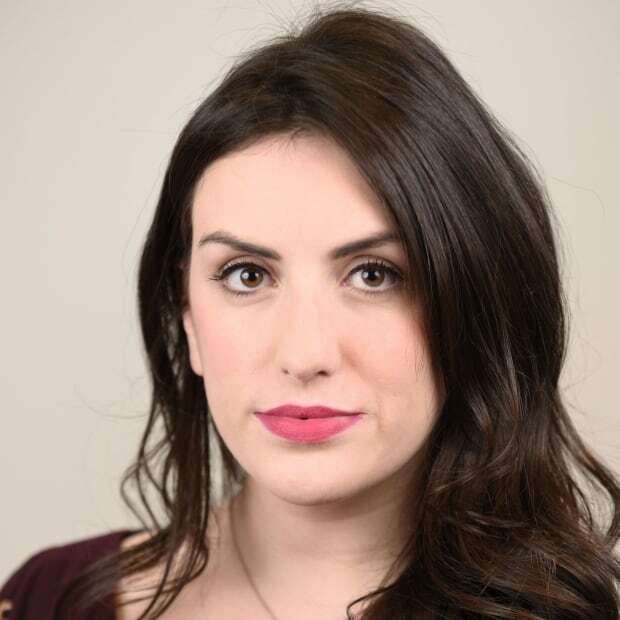 Ariana Kelland has been following the Potter trial since the beginning. Follow her updates through this live blog. If you are not seeing it on your phone, please click here.